The Colombian Constitutional Court has found in favour of an indigenous peoples’ centuries-old fight for their territory, granting the petition for the protection of constitutional rights requested by the Embera Chamí people of the Indigenous Resguardo Cañamomo Lomaprieta, in western Colombia. The Resguardo’s claim was accepted by the Colombian Constitutional Court, the final court of appeal for constitutional matters in Colombia. The court ordered that the Resguardo’s lands must be delimited and titled within one year, during which time all further permits or formalisation of mining activities must be suspended. Any subsequent mining activities proposed on the delimited territories may only proceed on the basis of the effective participation of the Resguardo. The court also ordered that the map produced by the Resguardo of their land be registered provisionally until it is officially demarcated. This ruling is also relevant for other indigenous and Afro-Colombian communities whose lands are awaiting delimitation. 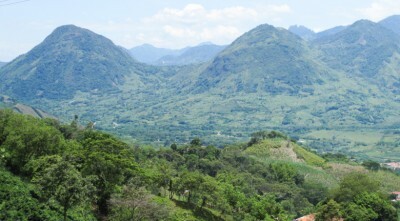 In what appears to be a legal first internationally, the court also gave explicit protection to ancestral mining activities carried out by some of the 32 communities within the Resguardo, stating that, although not currently recognised under State laws, this mining conformed to Resguardo laws and could therefore not be considered illegal. Importantly, the court also recognised that the State had an obligation “not to criminalise this type of ancestral activity”. Responding to the court judgment, Héctor Jaime Vinasco, ex-Governor of the Resguardo, and the principal coordinator of mining issues for the Cabildo, said: “This is an historic judgment for the indigenous Resguardo of Cañamomo Lomaprieta. For centuries, the different leaders of the Resguardo have been defending our collective land rights and seeking to resolve the problem of land titling with the authorities; this judgment orders that the delimitation and titling of the Resguardo is resolved without further delay. These requests are in keeping with international human rights instruments that recognise indigenous autonomy and self-government over ancestral territories, and the resources integral to these. Some 29.8% of the national territory of Colombia is occupied by 768 indigenous reserves, with 30,590,599 titled hectares and 1,192,628 hectares still required. Some 343,303 hectares issued in mining concessions overlap with Resguardo lands. In 2015, the Resguardo submitted a “tutela” (writ of constitutional protection) to the Administrative Court of Caldas claiming, among other things, violation of the Resguardo members’ fundamental collective rights to their territories and natural resources, to self-determination and self-governance within their territories, as well as to effective participation (including free, prior and informed consent) in relation to activities proposed within their territories. This writ was rejected at first instance and on appeal, but the Constitutional Court has overturned these decisions. For decades the Resguardo, which was established in colonial times, has been seeking official delimitation of its territories through various administrative authorities in Colombia. In the absence of such delimitation, which was never completed, the National Mining Agency continued to grant permits and licences for gold mining without consulting with or seeking the consent of the Cabildo, the traditional authorities of the Resguardo, on the basis that the Resguardo’s territories were not registered in the official land titles register. Gold mining is an ancestral activity of the Embera Chamí people, who have self-regulated this activity even prior to the formation of the Colombian State. The State’s permits both undermine the Resguardo regulations related to mining in their lands, and threaten the livelihoods of those who continue to carry out ancestral mining activities. The Resguardo Cañamomo Lomaprieta comprises 32 communities (including one Afro-descendant community, some members of which are seeking separate status) and 24,068 inhabitants, according to a 2014 census. The lands currently claimed by the Resguardo total 4,836 hectares. The current territory claimed is significantly less than the original lands granted to the Resguardo in colonial times (which is in turn significantly less than the traditional territories of the Embera Chamí people). The Embera Chamí people are an indigenous people from Western Colombia, whose traditional lands extended through the current departments of Antioquia, Caldas, Chocó, Risaralda and Valle de Cauca. Different groups within the Embera Chamí people continue to live across these departments (i.e. the people is not solely located within the Resguardo Cañamomo Lomaprieta). For more information on the situation in Colombia, see Pushing for Peace in Colombia.